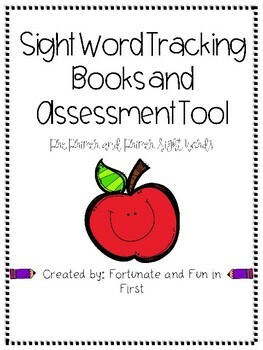 This product is intended to help track student's sight word knowledge. 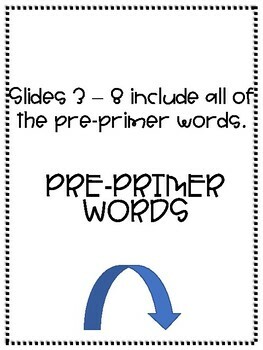 Both pre-primer and primer sight words are included. Each list has check off boxes, areas to track when students were tested on the front cover, and pages to practice writing words at the back! 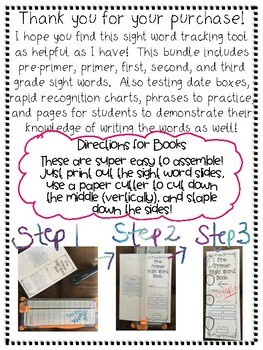 These books are easy to assemble, editable, and simple to use for assessment purposes!